Lorraine has used one of Norma J Burnell's incredible images for this gorgeous card and she's coloured it beyond perfecion. An image this lovely doesn't need much in the way of embellishing so Lorraine has kept it simple with a great layout. Absolutely love the attention to detail she has paid to the actual image...just WOW! 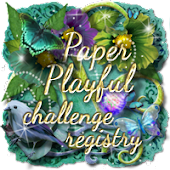 We start Challenge #28 tomorrow with a couple of new teamies...one of them being the lovely Lorraine herself, so if you want to see the first card she has produced for Scribble and Scrap Crafts pop back in the morning and join in the fun. Thank you for all your lovely comments. They are much appreciated and all read, hence why I have set it to moderate so that I make sure I don't miss any. If your comment does not appear straightaway please do not send it again as it has gone through but is waiting for me to read it. Thank you and take care. All the images on this site are copyrighted to myself or the Design Team Member who has created them. Although we love for you to take inspiration from our work, please do not copy them and claim them as your own. Also, please do not copy any part of this site (text or images). All winners must claim their prizes by 9 am on the Sunday following the announcement of their win otherwise the prize will be forfeited.